100% from fruit - contains naturally occurring sugars. Made from all natural ingredients. No cane sugar. Gluten free. 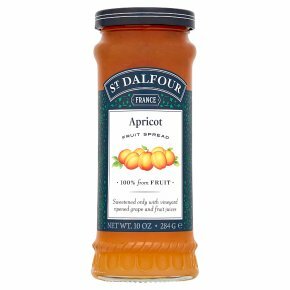 No preservatives, flavourings or colours.An old French recipe of delicious thick apricots with fruit juice concentrate. By gently cooking in the tradition of the French countryside, the natural flavour of the fruit is conserved.